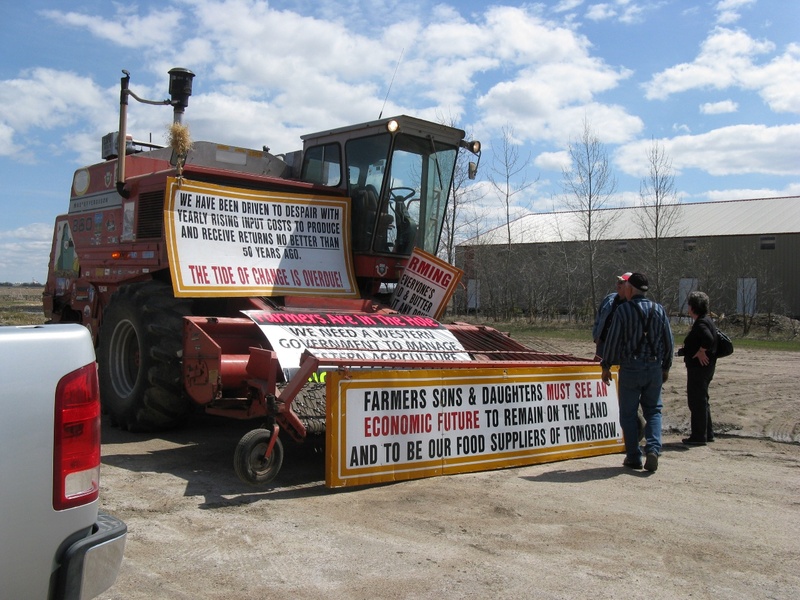 Seven years after the incredible trek across Canada, Nick Parsons decided after a very busy working life as a farmer and contractor in the United Kingdom and latterly a grain farmer in Canada he and his wife Jane should take things a little easier and enjoy some time together in retirement. As Nick retired from farming he realised that keeping Belle parked up and not in use would be a great shame as although it was now an old well worn combine it was still more than capable of bringing in the harvest! Any thoughts of putting Belle up for sale were quickly dismissed because as Nick explains the combine wasn't worth a lot of money but it was priceless if you had a crop to cut and nothing to cut it with! 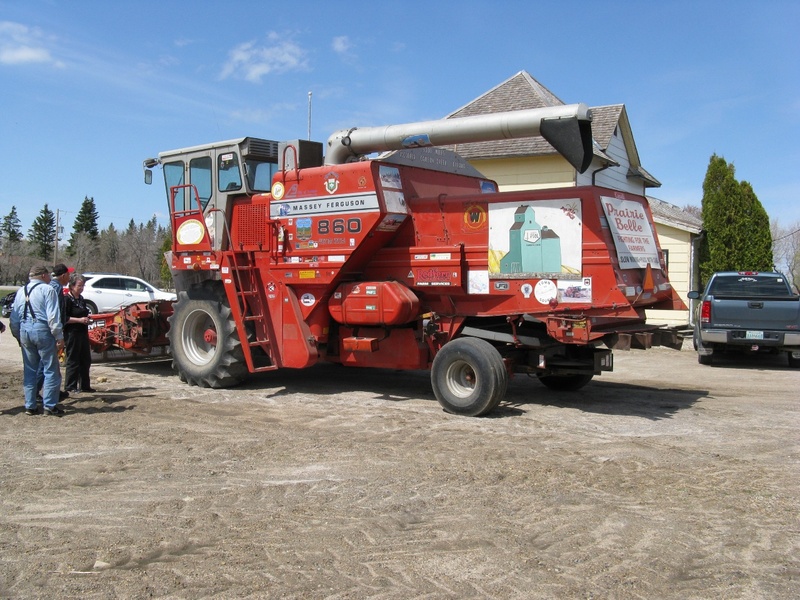 So after a great deal of careful consideration Nick was initially approached by a museum for Belle but a request from The big Quill Canadian Foodgrains Bank community growing project,changed his mind and after several discussions donated the combine to them to use along with other such machines that are loaned or borrowed. The Quill Lakes project during 2006/7 had more than 200 growing projects across Canada representing 15000 acres and yielding more than 17000 tonnes of crops, the Canadian International Development Agency would then match its value in currency by four to one, so a very worthwhile charitable organization could this particular year donate to Zimbabwe which at that time had only two days supply of food in reserve. 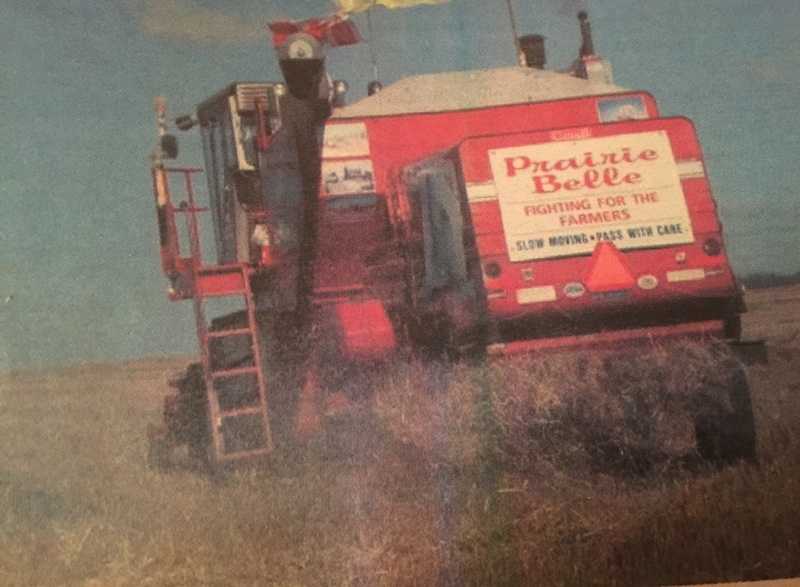 Not only would Belle be cutting this season but it would also be reunited with its former owner Nick who was invited down to Saskatchewan to take to the controls as he had done for many years and hours during its working life, Belle had clocked up over 7000 working hours which is very admirable for a machine with many moving parts. 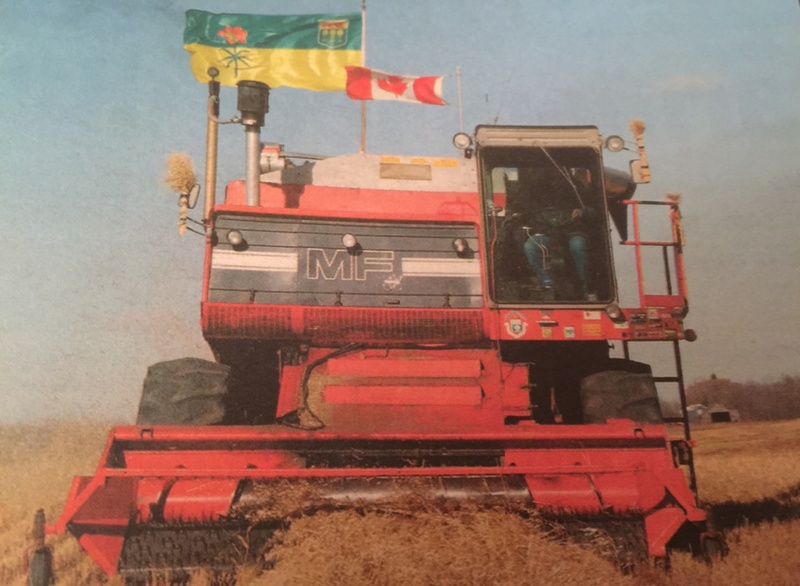 So Prairie Belle would indeed take part in harvests for this very noble organization and it would justly seem very fitting for this most travelled combine to end its working career benefitting those who are powerless to change their fortunes through no fault of their own. You may think Prairie Belle was transported to Saskatchewan on a truck well for the biggest part of this journey it was, and for discounted rates by local trucking companies! But for the last leg of the journey it was Nick at the controls naturally, Nick points out this was a very emotional last journey for me, I guess the amount of hours, miles, and dire situations that I have experienced aboard Belle leaves a piece of me within that tired old framework of pulleys belts and red tin. 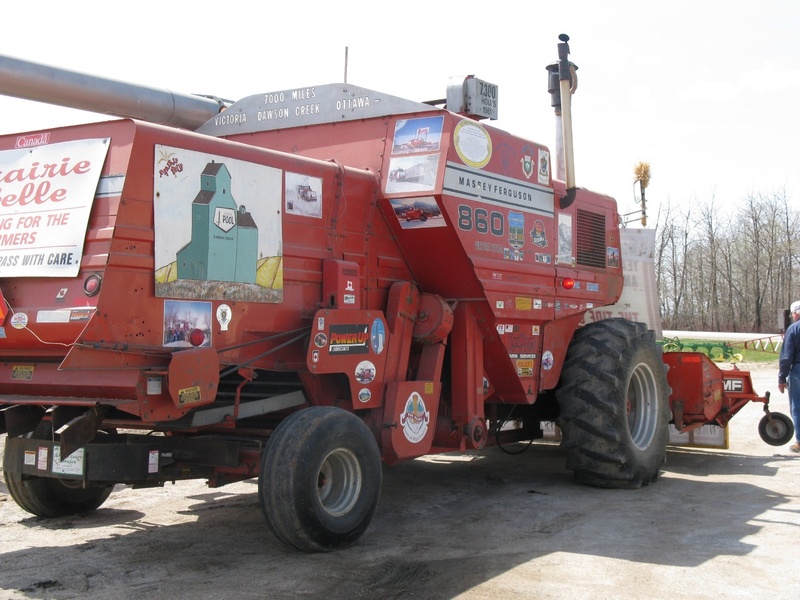 Belle in action for the Canadian food grains bank ,her exhaust plume a beckoning finger to this most worthy machine. 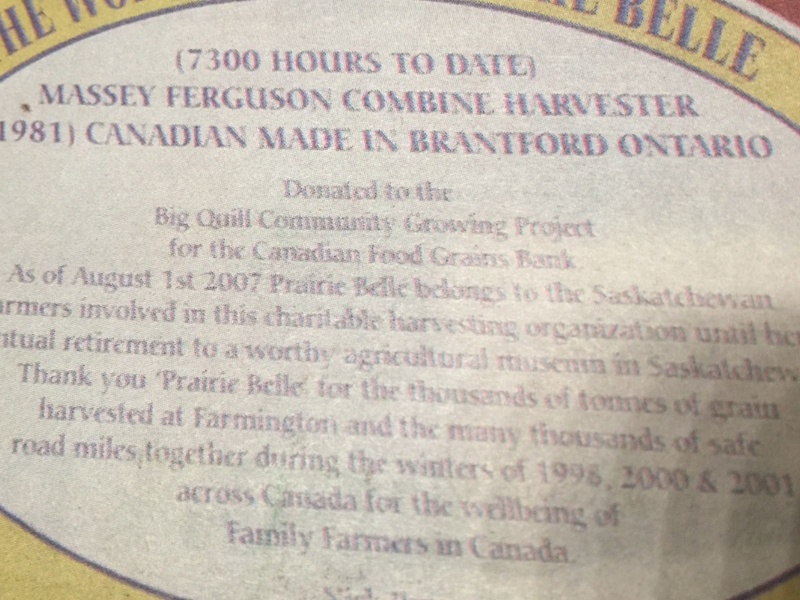 87 year old Tom Morton a Massey Ferguson dealer voluntered to help the project by operating Belle at harvest time. The Plaque adjourned to Belle a brief description of its importance. Well you may think this brings our story to an end, but not really, during the five seasons Belle was used for this project the combine proved to be a reliable performer and Project co coordinator Mike Humenny points out it is very near time now that we think Belle should be retired to a museum as time and wear has taken its toll and they have no wish to run the machine into the ground or risk a possibility of a fire which is the curse of these machines New and old, so with careful discussions with Nick they recommended the nearby rural life Museum at Wadena who also had a very good collection of early Machinery and implements and also celebrated the farming pioneers of this vast country. This Museum was fortunate to have substantial backing from local businesses which helped it evolve from its early days in a small building to a substantial modern complex today. So in 2012 Belle made her last trip into retirement to the Wadena museum Saskatchewan in a blaze of publicity which had courted her for many of her years! 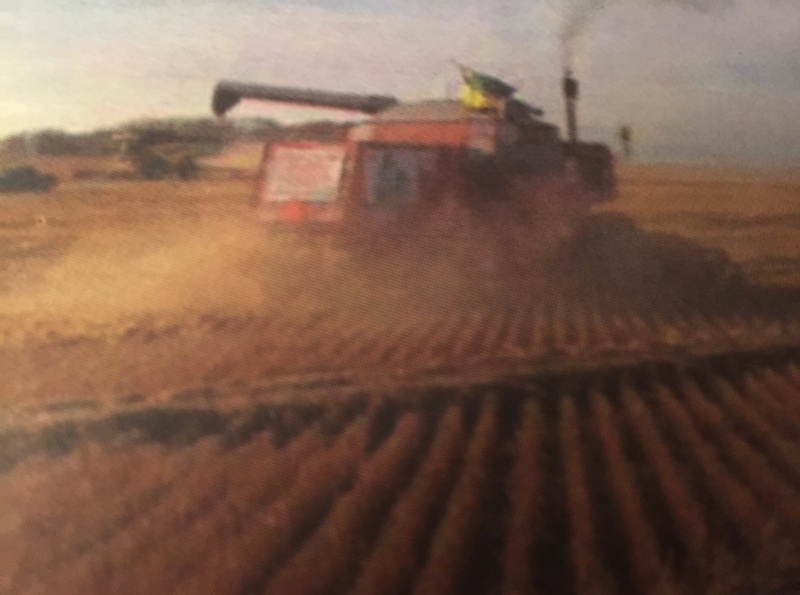 The combine would from now be a static reminder of not only a huge change in harvesting mechanization but a reminder of what can be achieved by one man and his efforts to try and change things for the good of all. 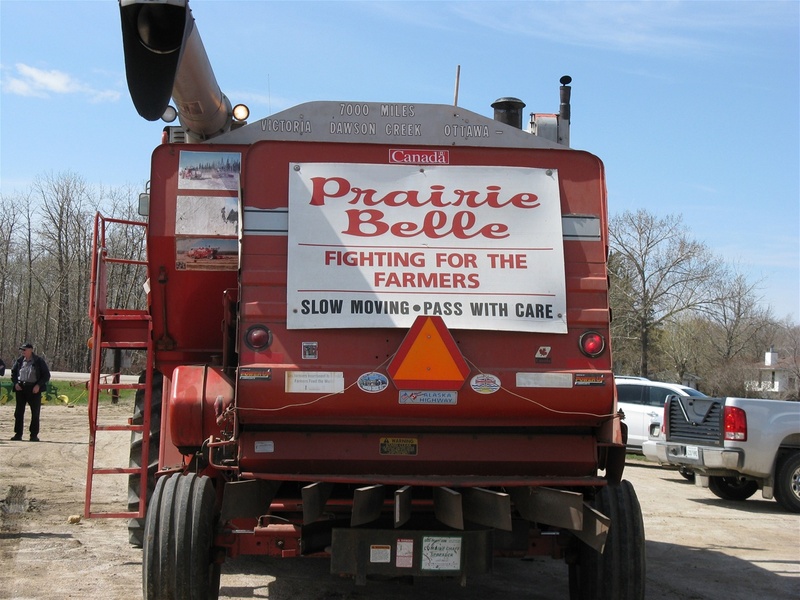 Prairie Belle arrives at the Wadena Museum, her bodywork now pays tribute to the sponsors and messages of support from the many Towns and City's this combine travelled through on her mammoth quests. Her travelling days behind her now, the work done! 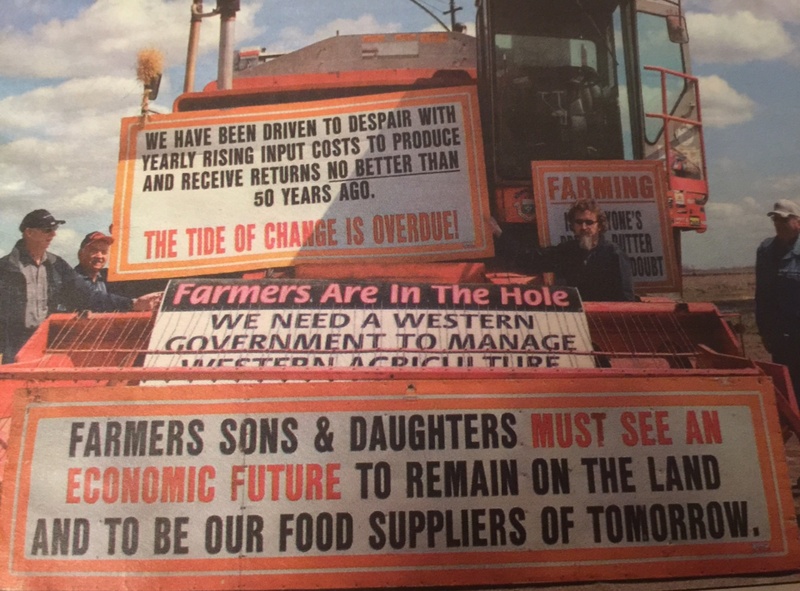 With the all to frequent farm failures here in the UK at present you just might ask if any lessons have been learnt from the problems of the past!? Once again I must say a big thank you to Nick and Jane Parsons, who have given me so much help with photos and correspondence from their home in Canada. Also Mike Humenny from the Canadian Food Bank Charity. It's been a pleasure to feature this story on Yellowswir,l thank you.